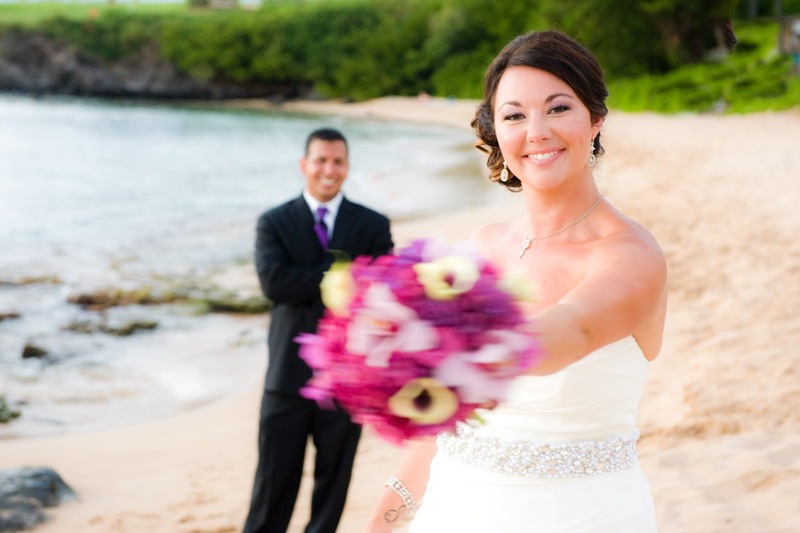 We had the opportunity to work with Nicole and Scott on their Maui Wedding last night at beautiful Kapalua Bay. 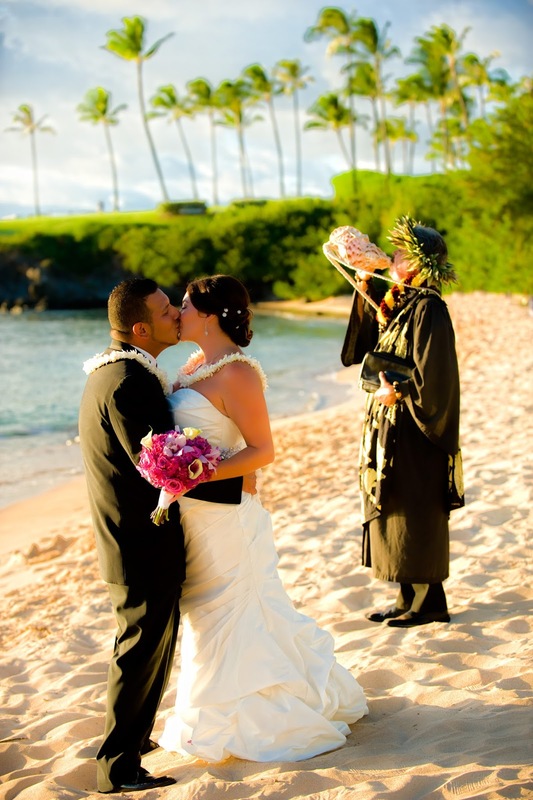 Dennis was the wedding minister and gave a beautiful Hawaiian ceremony to this very lucky couple. A large Honu was feeding on the rocks right up by the shoreline and the breeze was very light, just a whisper. Our Maui wedding packages are reasonably priced. Photography and service are at the core of what we do. 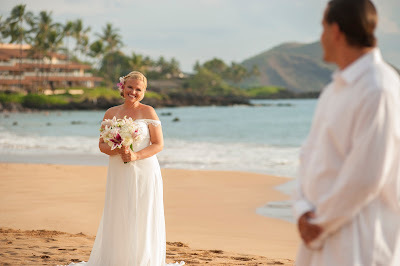 Our Maui Wedding Photography is all done by co-owner Joe and all the wedding planning and coordinating is done by the other co-owner, Co Pegg. 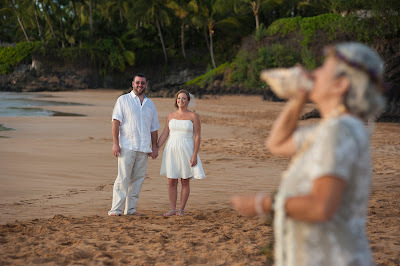 Your Maui wedding will never get farmed out and all your correspondence will be with one of the owners. At Marry Me Maui Wedding Planners, we never double book. This ensures that we will be present at your wedding ceremony. It's always a good feeling to know that the owners of the company you've booked with will be there with you all the way! So thanks again Nicole and Scott. 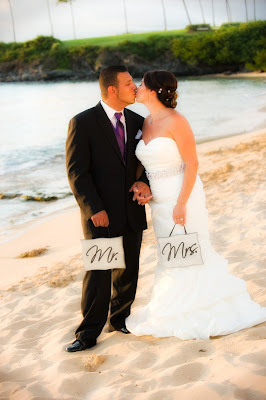 We got some great images to send you and we wish you all the best in your new life together. 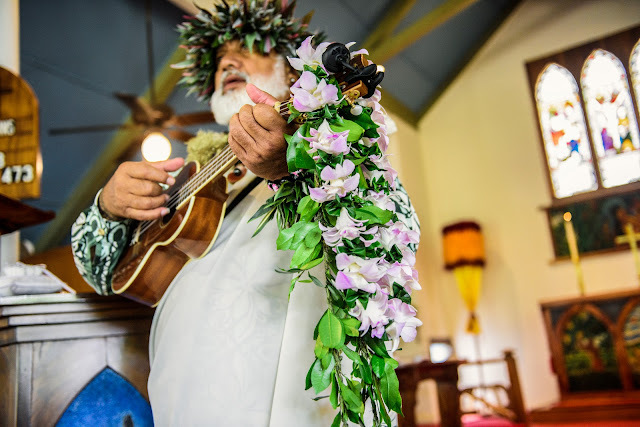 A Hui Hou!